The seemingly never-ending winter is finally over. And now that it’s spring and the weather is starting to warm up, it’s time to do a bit of spring cleaning–for your skin, that is. You wouldn’t wear a wool sweater in the middle of summer, right? Just like you change your wardrobe for the seasons, it’s important to change up your skin care, too. Your skin always behaves a bit differently depending on the time of year. While in winter we tend to deal with dry, flaky patches, the warmer months usually call for sweaty, break-out prone skin, so altering your routine, even just a tiny bit, is crucial to balancing these seasonal changes. It’s time to put away those scarves and heavy creams–spring is in the air, and your skin will thank you for it! You should be exfoliating year-round, but after a long, cold winter full of dry, flaky skin, your face needs a little extra loving in the springtime. The added humidity in the air also makes your skin less sensitive, so spring is the perfect time for peels and scrubs. We wear lighter clothes when it gets warm out, so naturally we should be doing the same for our skin. Skin doesn’t feel as dry in the spring as it does in the winter, so it’s time to switch out your rich, cream moisturizer for a more lightweight formula. Spring and summer are prime time for breakouts. 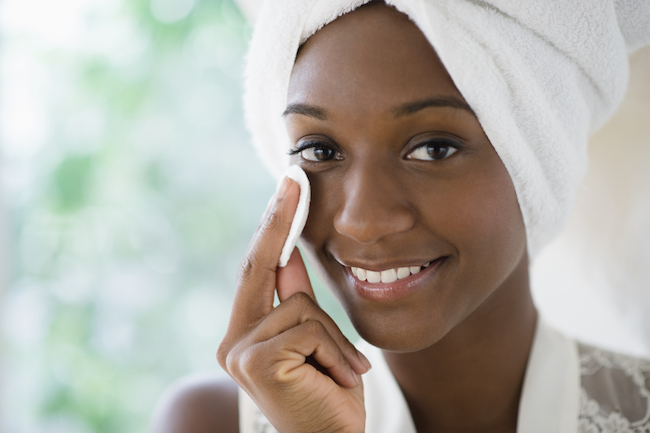 Sweat, and just more oil production in general, tends to clog pores and make our skin feel ew. Try using clay masks to help absorb excess oil, deep clean your pores, and prevent breakouts. Sunscreen should be part of your routine all the time, but with the coming of spring and being outside more often, you need to be more diligent about it! Remember to apply it underneath any makeup you wear, and if you don’t wear makeup, remember to reapply every few hours. Whether in a serum or in your diet, antioxidants will help fight free radicals, which can cause serious damage to your skin and the rest of your body. Free radicals come from many places, the sun being one of them, so make sure to up those antioxidants! Products like retinoids increase the skin’s sensitivity, so it’s a good idea to save those for the nighttime when you won’t be out in the sun. If you absolutely need to use products which may not react well with the sun, be sure to use a good sunscreen on top.